The historic University of Paris (French: Université de Paris) first appeared in the second half of the 12th century, but was reorganized in 1970 as 13 autonomous universities after the student protests of the French May. Following months of conflict between students and authorities at the University of Paris at Nanterre, the administration shut down that university on 2 May 1968. Students of the Sorbonne protested the closure and the threatened expulsion of several students at Nanterre on 3 May 1968. More than 20, 000 students, teachers and supporters marched towards the Sorbonne, still sealed off by the police, who charged, wielding their batons, as soon as the marchers approached. While the crowd dispersed, some began to create barricades out of whatever was at hand, while others threw paving stones, forcing the police to retreat for a time. The police then responded with tear gas and charged the crowd again. Hundreds more students were arrested. Negotiations broke down and students returned to their campuses after a false report that the government had agreed to reopen them, only to discover the police still occupying the schools. The students now had a near revolutionary fervor. Another protest was organized on the Rive Gauche by students on 10 May. When the riot police again blocked them from crossing the river, the crowd again threw up barricades, which the police then attacked at 2:15 in the morning after negotiations once again foundered. The confrontation, which produced hundreds of arrests and injuries, lasted until dawn of the following day. Well over a million people marched through Paris on Monday, 13 May; the police stayed largely out of sight. Prime Minister Georges Pompidou personally announced the release of the prisoners and the reopening of the Sorbonne. However, the surge of strikes did not recede. Instead, the protesters got even more active. When the Sorbonne reopened, students occupied it and declared it an autonomous "people's university." Approximately 401 popular action committees were set up in Paris, including the Occupation Committee of the Sorbonne, and elsewhere in the weeks that followed to take up grievances against the government and French society. With the fall of the French Fourth Republic in 1958, and after the tumultuous events of May 1968, the French Fifth Republic proposed various drastic reforms of the French university system. In 1971, the five ancient faculties of the former University of Paris (Paris 6 as the Faculty of Sciences) were split and then re-formed into thirteen interdisciplinary universities by the Faure Law. The campus was built in the 1950s and 1960s, on a site previously occupied by wine storehouses. The Dean, Marc Zamanski, saw the Jussieu campus standing as a tangible symbol of scientific thought in the heart of Paris, with the Faculty of Science, set in the Latin Quarter, as part of an intellectual and spiritual continuum linked to the university history of Paris. In 1968, the Paris Faculty of Science was divided into a number of different universities. The University of Paris 6 became the scientific center and was set up in 1971; it shared the Jussieu campus with the University of Paris 7 and the Paris Geophysical Institute (Institut de Physique du Globe). In 1974, the University of Paris 6 chose prestigious champions when it adopted the name Université Pierre et Marie Curie, after Pierre and Marie Curie, and ever since has endeavored to perpetuate the scientific legacy of these forebears. UPMC is now the largest scientific and medical complex in France, active in all fields of research (see "University Rankings"). In 2008 the university joined the association Paris Universitas changing its logo accordingly and adding the name of the association after its own. Two years later the association dissolved and reformed as PRES (pôle de recherche et d'enseignement supérieur) Sorbonne Universités, including the Pantheon-Assas University, the Paris-Sorbonne University, the Muséum National d'Histoire Naturelle, the INSEAD and the Université Technologique de Compiègne and the Pierre-and-Marie-Curie University; for this occasion the logo were changed again. 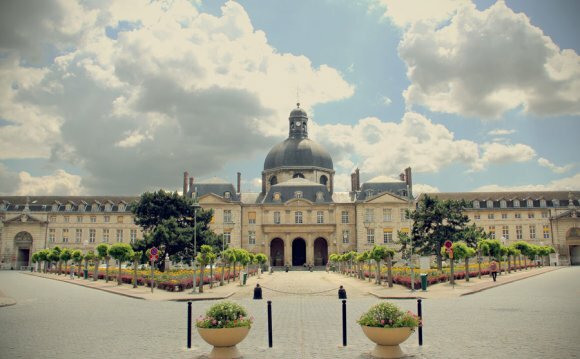 The universities of Pierre-and-Marie-Curie (Paris 6) and Paris-Sorbonne (Paris 4) announced to create a new university including three faculties: Sciences and Medicine (currently belonging Paris 6) and human sciences (currently belonging to Paris 4). This new university will start first January of 2018. Sorbonne University (French: Sorbonne Universités [sɔʁbɔn ynivɛʁsite]) is an alliance founded by Pierre-and-Marie-Curie University (Paris 6) and Paris-Sorbonne University (Paris 4) in June 2010. The two previous universities are direct inheritors of the Sorbonne (divided into 13 autonomous universities after the French riots in 1968). Other members include the INSEAD, the University of Technology of Compiègne and the National Museum of Natural History.